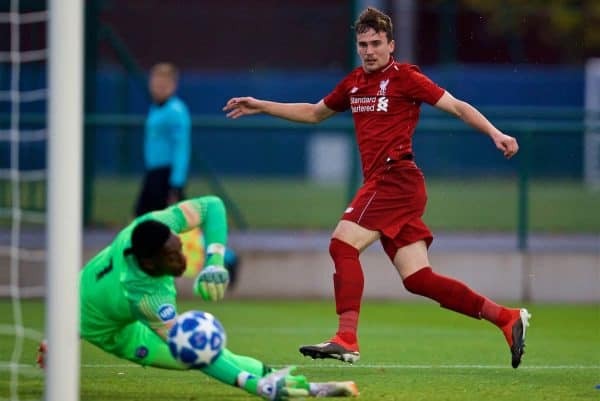 Liverpool youngster Liam Millar has revealed the role Kenny Dalglish still plays at the club, with the club legend often joining training sessions at the academy. 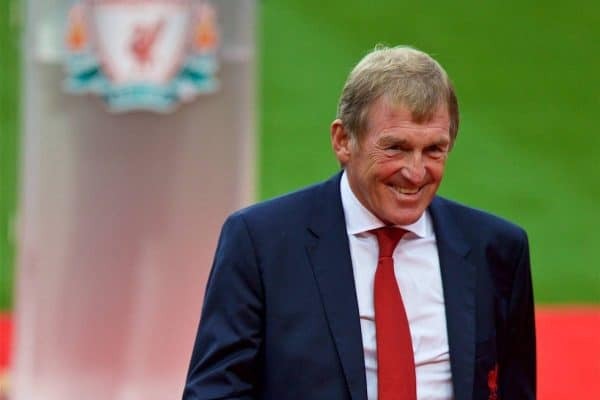 Dalglish has not been employed by Liverpool in a coaching role since 2012, when he stepped down as manager, to be succeeded by Brendan Rodgers as the club’s owners oversaw necessary change. He has stayed on as a director, however, and remains heavily involved off the field and is a regular at Anfield on matchdays. Now Millar, who joined Kilmarnock on loan at the end of the winter window, has given an insight into how the King still operates behind the scenes, speaking to the Sunday Post. The striker revealed that the 67-year-old still gets involved in training sessions at Kirkby, and played a pivotal role in convincing Killie manager Steve Clarke—previously Dalglish’s first-team coach at Liverpool—to sign him. “Kenny Dalglish was the one who recommended me to him, which is not too bad!” he explained. Millar has made excellent progress at the academy since joining from Fulham in 2016, and scored seven goals in 21 games this season before departing for his first loan spell last month. He signed a new long-term contract with the Reds before heading to Scotland, having turned down serious interest from clubs both in the Premier League and abroad, harbouring an ambition to eventually break through under Jurgen Klopp. Discussing his future prospects, Millar—who can play both up front and out wide—admitted it would be a difficult task supplanting any of Sadio Mane, Roberto Firmino or Mohamed Salah. “I’ve trained with the first team at Liverpool now and again,” he said, with his most recent stint at Melwood coming in December. Millar made his Killie debut as a late substitute in Friday’s 2-1 loss to Hearts, and will be hoping his work with Dalglish pays off when gets a chance to lead the line from the start.